Lance Armstrong had something to say this weekend: he is really, really sorry. But as he was confessing to Oprah Winfrey, the secular priestess of wayward celebrities, I couldn’t help but wonder for what exactly he was apologizing. 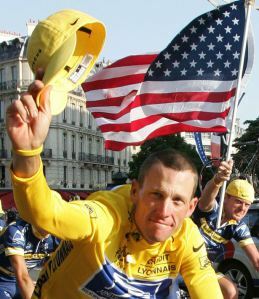 It wasn’t the doping itself: he admitted to Ms. Winfrey that at the time he didn’t ever feel that he was doing anything wrong….that doping was so entrenched in the cycling world, it was just part of “pumping up the tires” and “filling up the water bottles.” Really? Because those other things don’t result in one being stripped of seven Tour de France titles as well as an Olympic medal. Come now, Lance, are we really to take the predictable adolescent response of “everybody does it” as the rationale for years of fabrication in an intricate machine of doping, lying, bullying, and suing?